This news item was posted in Current Affairs, Pakistani News category and has 1 Comment so far . Pakistan has expressed concerns over violence against Muslims in India for slaughtering cattle and consuming beef in a move that is likely to invite a strong reaction from New Delhi. Amid ongoing communal tensions in the aftermath of the lynching of a Muslim man by a Hindu mob over alleged beef consumption, the Foreign Office on Thursday questioned India’s secular credentials. 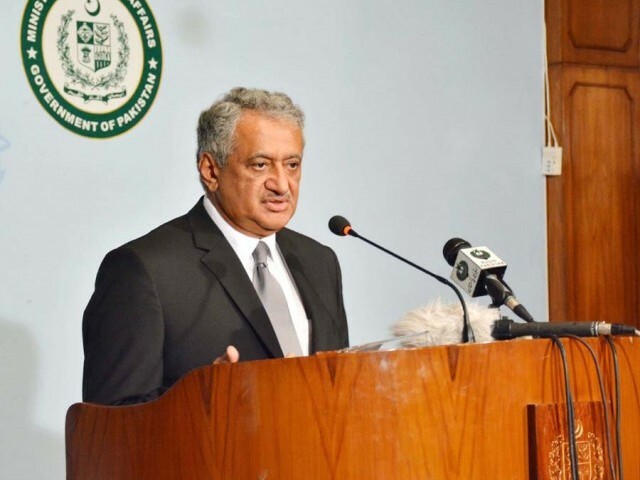 “In a democratic country, that also claims to be secular, the state should be able to guarantee fundamental rights of minorities and take appropriate measures to ensure that they are able to live in accordance with their religious beliefs,” said FO spokesman Qazi Khalilullah at his weekly briefing. “You may be aware that India is the second-largest exporter of beef in the world. Violence against Muslims in India for consuming beef and slaughtering cattle, therefore, is beyond comprehension and a cause of concern for the Muslim Ummah,” he added. This is the first official reaction from Pakistan over the beef controversy in India. It came just as India’s Prime Minister Narendra Modi finally broke his silence on the killing of the Muslim man in Uttar Pradesh and called for unity between Muslim and Hindu communities. Pakistan’s reaction is unusual as it usually avoids commenting on domestic issues of India. But the rare rebuke comes at a time when relations between the two nuclear armed neighbors are at the lowest point. The FO spokesperson also reacted to the cancellation of a concert by Pakistani ghazal maestro Ghulam Ali after the right-wing Shiv Sena threatened to disrupt the event scheduled to be held in Mumbai. “We regret that this event was not allowed to take place. We hope that the Indian government will take appropriate measures for such cultural events to take place in future as scheduled,” Khalilullah stressed. “Cultural events are helpful in promoting people to people contacts,” he added. The Aam Adami Party (AAP), which is currently ruling Delhi, condemned Shiv Sena and invited the Pakistani artist to perform in the Indian capital. Speaking about the recent four-point peace initiative announced by Prime Minister Nawaz Sharif during his UN General Assembly address in New York, the spokesperson also hoped that India would find wisdom in accepting the proposals. “Pakistan has expressed its willingness on several occasions to hold talks on all outstanding issues including Kashmir, if there are no preconditions from the Indian side,” he said. Asked what objective Pakistan had achieved in presenting the dossiers to the UN chief against India, the spokesperson said government’s move would be helpful to the UN secretary general in understanding India’s attitude towards Pakistan and its impact on the regional situation. Responding to an article by David Ignatius appearing in The Washington Post in which the former claimed that Washington might strike a civilian nuclear deal with Islamabad if the latter agrees to limit its nuclear weapons programme, Khalilullah said Pakistan has always called for a non-discriminatory approach to nuclear issues in South Asia, including access to peaceful uses of nuclear energy. “Pakistan is making efforts to overcome energy shortages. We ourselves are producing nuclear energy and desire cooperation of those countries which possess this technology, including the US,” he said.